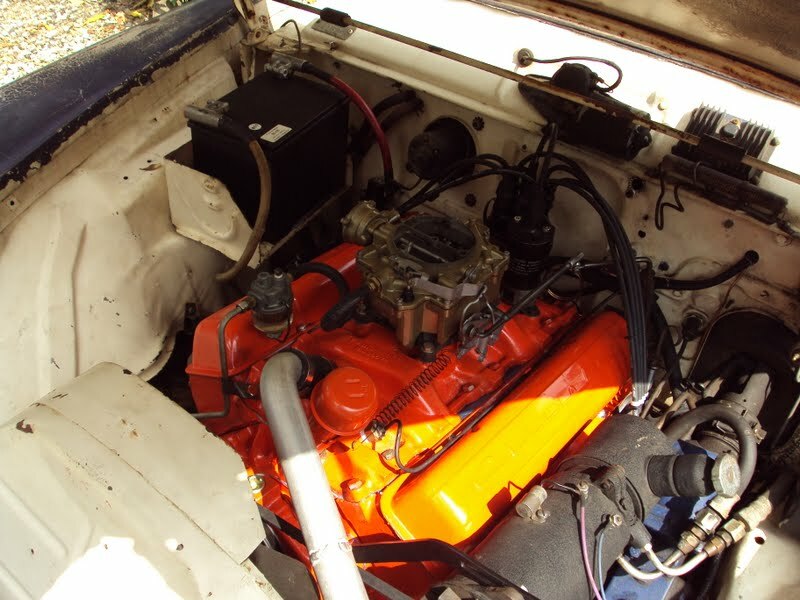 We are experts at engine swaps of all kinds, into any vehicle. 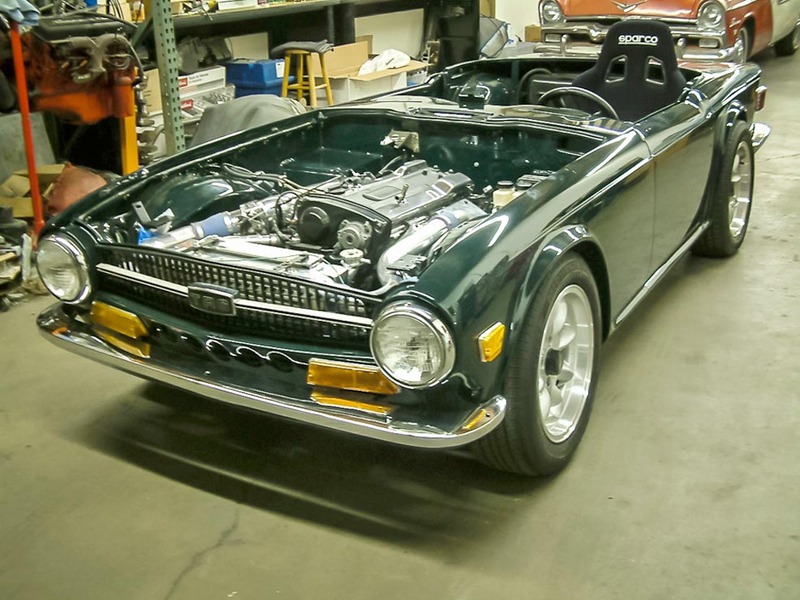 From something simple like updating an early Flathead Ford to a later 8BA or Mercury 8CM all the way to something complex like swapping a Nissan RB25DET into a 1969 Triumph TR6. We have been there, done that. Our team are experts at all phases of the swap process, from engine mounting to exhaust design. We also handle all wiring in house, as well as systems integration allowing you to enjoy the benefits of modern fuel injection. At Schraders’ we also understand the importance of period correctness so your finished swap will look as great as it performs. Of course, we have become experts in swapping GM’s LS based platform into nearly anything. 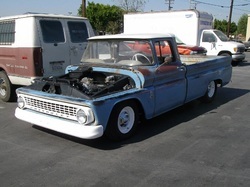 This family of modern small block Chevrolet’s have become incredibly popular and for good reason. They are very well engineered platforms capable of shocking performance numbers along with dead nuts reliability. We have performed 19 successful LS based drive line swaps to date, let us help you with yours. Here's a 19543 Studebaker with a 283 Chevrolet and a T5 swapped in. 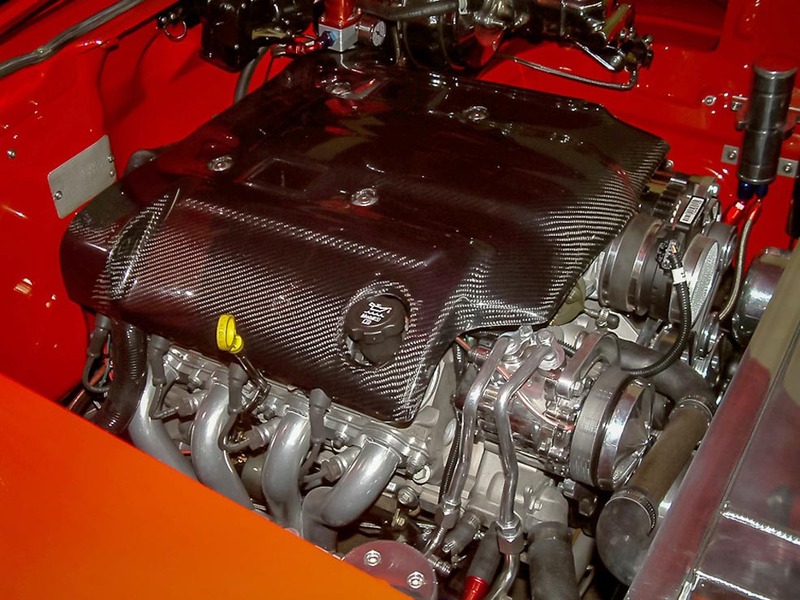 LS1/4L60E swapped into a 1957 Chevrolet convertible. 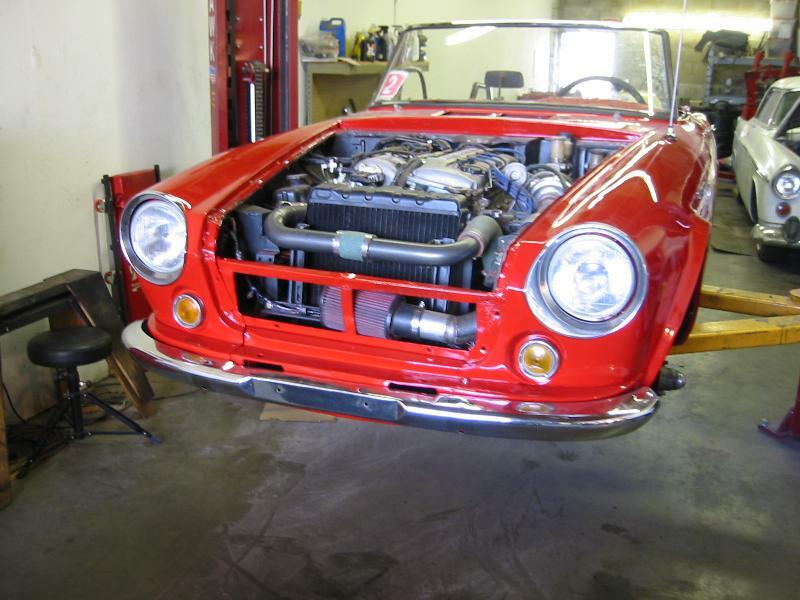 1967.5 Datsun Roadster with a Nissan KA24DE swapped in. I added a single turbo, this thing ran hard. 1936 Ford 3 Window coupe, it's got a 472 inch Cadillac motor with a T56 6 speed manual transmission behind it. 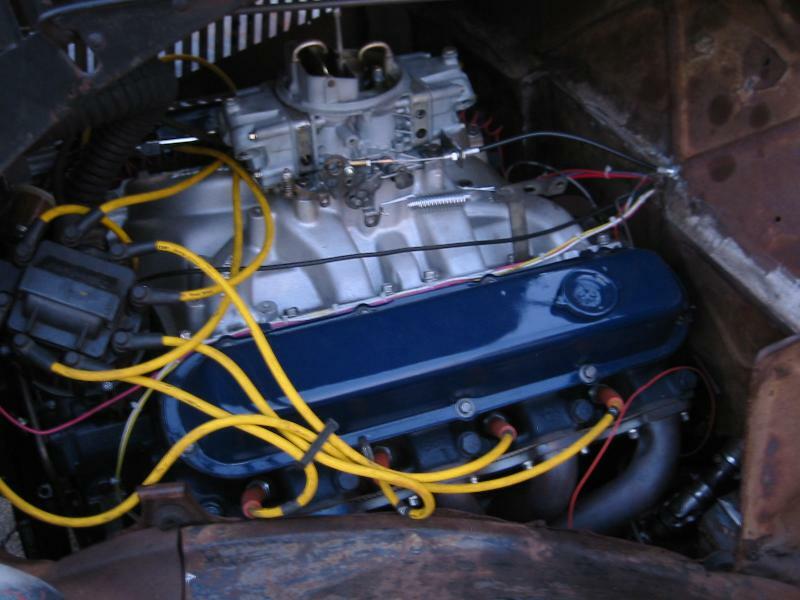 509 inch Cadillac and Turbo 400 transmission in a 1963 Chevrolet pickup.